JoeTap: Powered by Micro Matic. Nim, Cafe, & Americano. Cleaning with a beverage can. Follow directions on chemical label. Always add chemicals to water. Open faucet until cleaner is dispensed. Allow the chemical to soak for thirty minutes. After three thirty-minute cleaning cycles, rinse chemical form line with fresh water. 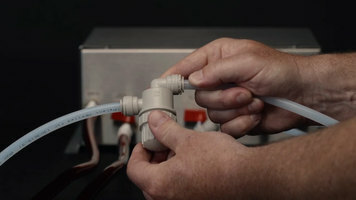 Always verify that chemical is rinsed away with PH paper or PH meter. 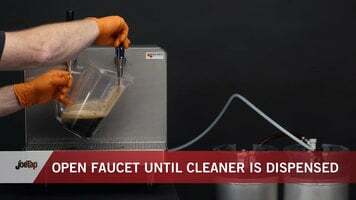 Watch this video to learn how to properly clean your JoeTap Cafe with a beverage can. 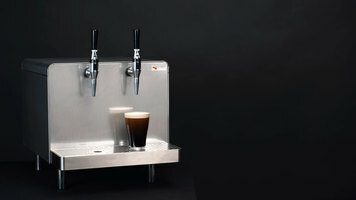 Watch this video to learn how to properly clean your JoeTap Cafe with a corny keg. Check out this video to learn about daily use / care of your Micro Matic JoeTap Cafe! Watch this video to learn how to setup your Micro Matic JoeTap Cafe!